Sugar free cakes are good for you, especially if you are a diabetic or have been detected with high blood sugar. In fact, sugar free carrot cake recipe are more nutritious because you add other ingredients such as coconut, orange juice, apple sauce etc. to compensate for the sweetness, which adds to the nutritious value of the cake. These cakes are also easy to make and don’t take much time. 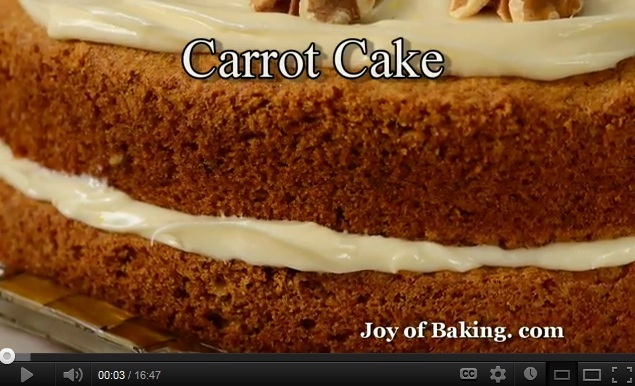 Here is a simple sugar free carrot cake recipe. – Spray a 13×9 inch baking pan with non-stick cooking spray. – In a clean and dry bowl, beat the egg whites to form soft peaks. – Add the apple sauce and buttermilk to the mix. – Whisk some more to get a frothy mix. – In a clean bowl, take the flours, nutmeg powder, cinnamon powder, all spice powder, baking soda and baking powder. Whisk to mix. – Add the dry ingredients to the egg–buttermilk mix, taking 1/4 cup of mix each time and mixing well after each addition to get a smooth batter. – Now gently stir the orange juice in the mix. – Add the chopped figs, poppy seeds, walnuts and raisins to the batter and blend some more. – Spoon the batter in the prepared cake pan. You can use a square, round or rectangular cake pan. – Bake in the preheated oven at 350F for 35-40 minutes until a skewer inserted in the middle comes out clean. – Remove the cake from the oven and cool in the pan for 15 minutes. – Remove from the pan and cool on a wire rack before frosting. – You can use 1/4 cup of unsweetened cocoa powder instead of all-purpose flour for a chocolaty flavor in the cake. – You can also add freshly grated lemon juice and orange zest to the cake for a more tangy taste. – Use as many fresh ingredients as possible. – Add some grated dried ginger for enhanced flavor. – If you want, you can substitute all-purpose flour with whole wheat flour.